SMELL. IT. ALL. DAY. SON! Cabernet Franc loves sandy soil, prolonged summers, cool climates and nice breezes. All of these things make it the perfect red grape to grow on Cape Cod. 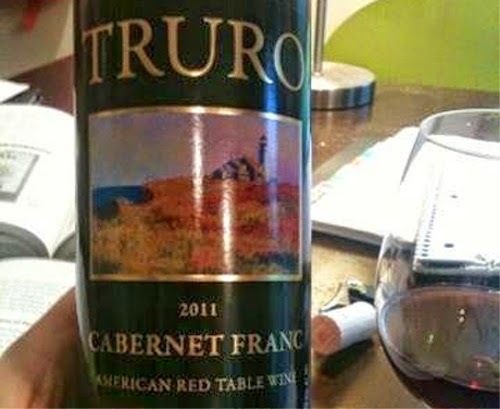 Truro Vineyards also uses open vat fermentation for the local natural yeasts, just like they do for Cab Franc in Loire Valley, to really capture Cape Cod in a bottle. To the eye this wine reminds me of a Dolcetto: it’s a dark ruby color, yet you can see right through it. It has enough depth and power to stand up to red meats and BBQ but the body is light enough to chill if you are so inclined. The nose has violets, cassis, cherry and a wet mulch earthiness. As if Cabernet Sauvignon and Pinot Noir went into business together to create a fragrance. Give this beautiful local Cabernet Franc a try. You'll love it.